Classroom wish lists are a great way to help parents donate items to your classroom! 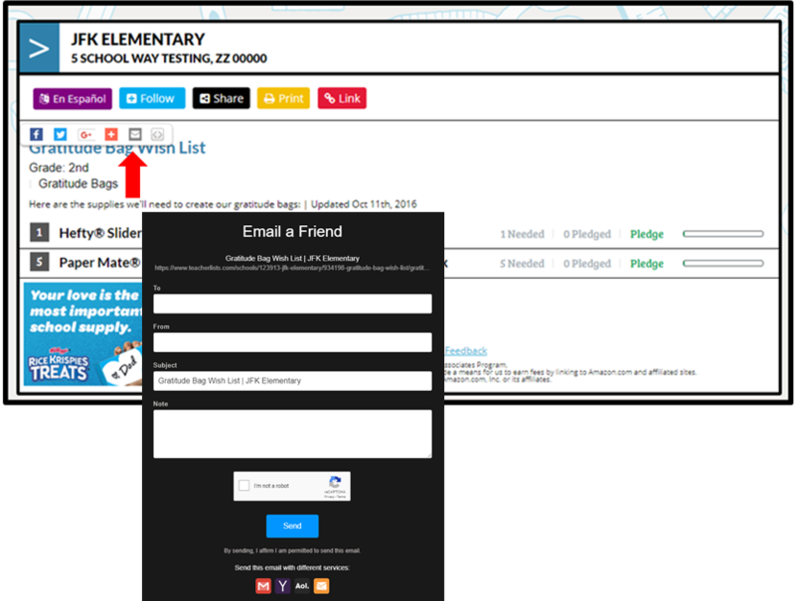 Wish lists can be emailed, posted on your favorite social network, or even added to your school website. It only takes a few clicks, and parents love the convenience of viewing wish lists on-line and shopping directly through Amazon! 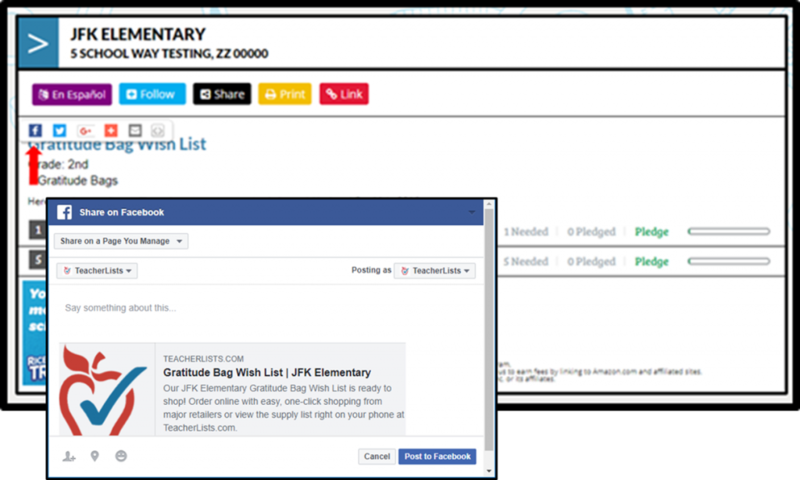 If your wish list is not already on TeacherLists, you’ll need to create or upload it first. Then select the wish list you’d like to share. 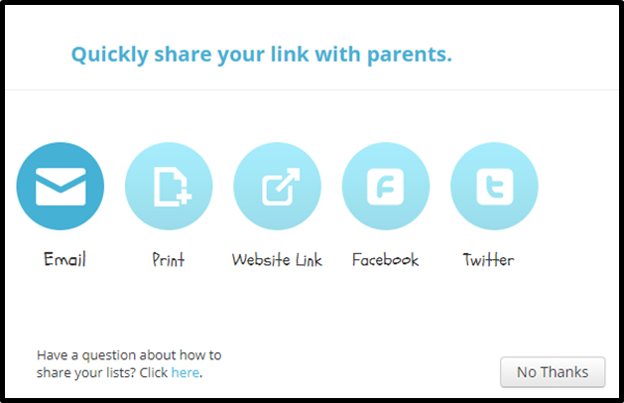 Select your preferred share method from the pop-up screen. 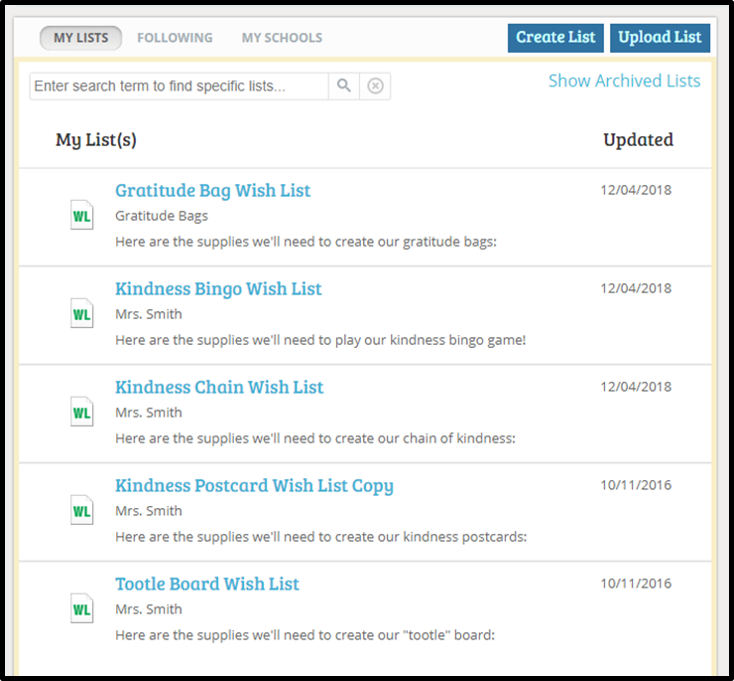 Another way to share your wish list is to hover over your list and click “View.” (This is particularly helpful if you are sharing a list that isn’t your own). 3) Write your email, address it and click send! 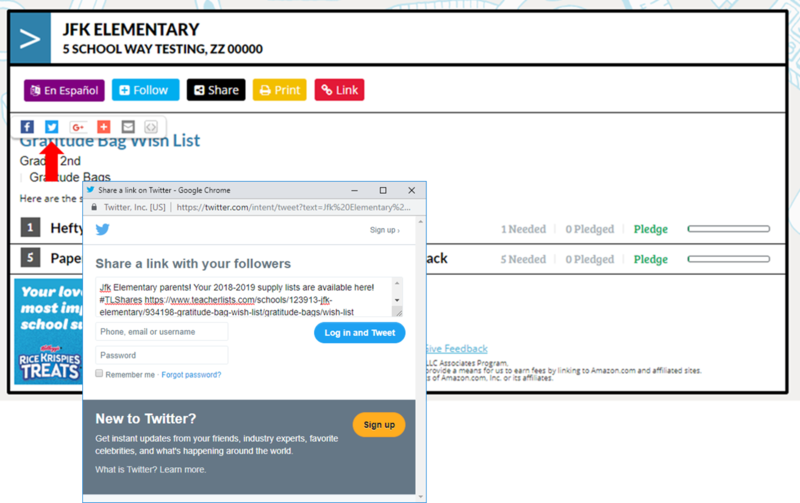 3) Log in and click ‘Tweet’! 3) Now paste the HTML code on your classroom webpage or school website where you want to display the TeacherLists banner that links to your list. 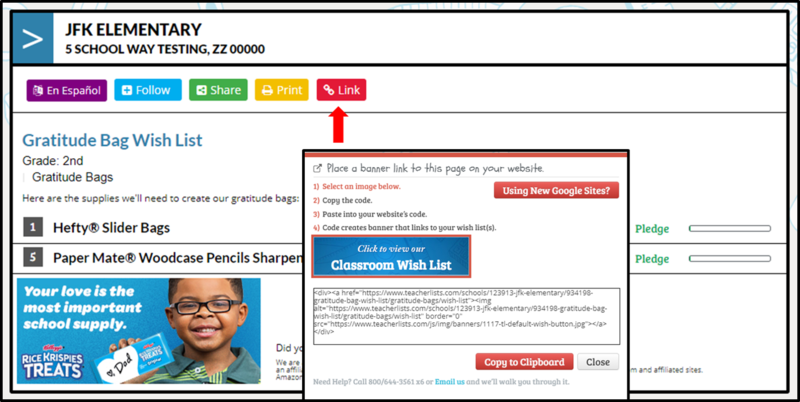 Sharing your classroom wish list makes it super easy for parents to find your list and pledge items! Any Questions or Need help? 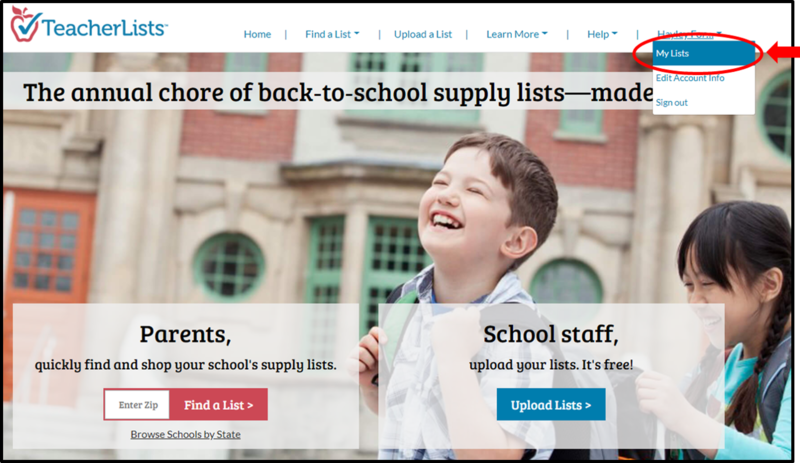 Email us at tlsupport@TeacherLists.com or call 800-644-3561 extension 6.